No real-life individual could possibly exemplify all those traits. Nevertheless, our characters--especially our main characters--need to. "When I sit down to read fiction, I don’t want characters that are modeled closely on real life. Real life is boring, mundane, filled with endless banal tasks, the drudgery of chores, and meaningless small talk." 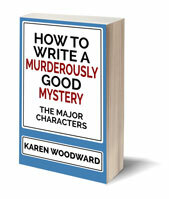 "How does one of your characters enter the story? How does she exit a scene? What does she do while she’s [...] on the page, involved in the story’s action? "Is she making ANY impression on readers? "One of my favorite old-movie actresses is Bette Davis. You may or may not have seen any of her films, but you’ve probably heard of her. "Even in her earliest films, when she was just a studio player and miscast in little roles of flighty society girls, she carried a presence with her. She knew how to walk, how to carry herself, how to move about so that she held the audience’s eye. That’s stagecraft, and she learned her acting from the stage before she ever went to Hollywood. "All actors of that era were trained to do that. They weren’t trying to be natural or realistic. They were driving the story action forward and doing their best to make you remember them. "One of my favorite film entrances of a character is in the William Wyler film, THE LETTER, based on a short story by Somerset Maugham. The audience is shown the moonlight shining down on a peaceful rubber plantation. All is quiet. The workers are sleeping in hammocks under thatched sheds. Then a pistol shot rings out. A man bursts from the bungalow and staggers down the porch steps. Bette Davis follows him. "She’s wearing an evening gown. She holds a pistol in one hand. Her arm is extended and rigid. She fires into his back. And fires again, emptying the revolver into his dying body. As she shoots, she descends a porch step, then another, until she’s standing over him. "The camera zooms in on her face. She’s intent, cold-blooded, lethal. There’s no hesitation in her, no fear, no regret. She knows exactly what she’s just done, and it was precisely what she intended to do. She has shot this man down the way I might destroy a rabid dog. "Then, as the plantation workers wake up and run toward her in alarm, the predator in Bette vanishes. She pulls on a mask of teary weakness and begins to lie about what just happened and why. "But the audience has seen the truth and can settle in to watch what she does next in trying to trick the police and the prosecutors. "'Realistic?' Not at all. Vivid and effective? You bet!" Deborah Chester writes that "Characters have to be exaggerated in order to ignite readers' imaginations." "The desire to avoid the bold, seemingly unnatural character is understandable. It’s also fatal to a story’s success." 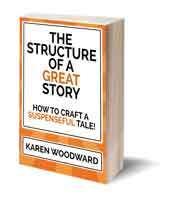 "Stories–particularly genre fiction–are not realistic. They are entertainment, and they are structured in certain ways to fulfill that function. "That’s why fictional characters need to be exaggerated into creatures that are weird or wild or zany or colorful or predatory or just more darned courageous than anyone else." "Just ask Janet Evanovich, who creates old ladies who carry Glocks strapped to their walkers and monkeys that escape research laboratories wearing little hats made from aluminum foil. "And she laughs all the way to the bank." Writing with Flair is a terrific article, and just what I needed to read at this point in my WIP. Cheers! Good writing. 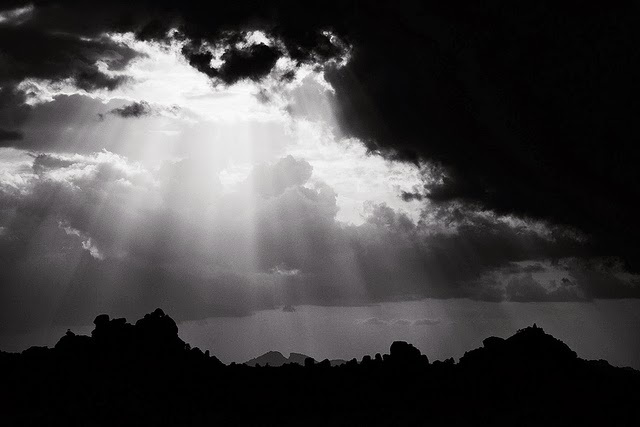 Photo credit: "Breaking through..." by Vinoth Chandar under Creative Commons Attribution. A fine reminder of why we write AND how to write! I'm checking this article out! Interesting perspective. I guess it does depend on the type of story your reading, or indeed *wanting* to read. I feel characters *can* lean towards unremarkable but if they do, what happens to them must be extra-extraordinary. Yes, absolutely; it's about balance. Andy (played by Steve Carell) in _40 Year Old Virgin_ isn't all that remarkable--then we learn he's 40 and still a virgin.